Thermometers simply display the current temperature. Many people will already be using thermometers within their business. However, they have some significant limitations. Just because the temperature is alright right now (as shown on the thermometer) does not mean that it was always right. A min/max thermometer partially fixes this issue by telling you if it has been outside the temperature limits. So a thermometer can tell you if things are good or bad now, and a min/max thermometer can tell you if things have always been good or bad, but that’s it. You don’t know when things started to go bad, how often, or for how long. Thermometers are an essential part of ensuring that your staff are aware of the temperature and are keeping an eye on it. This is where a temperature logger becomes an invaluable tool. 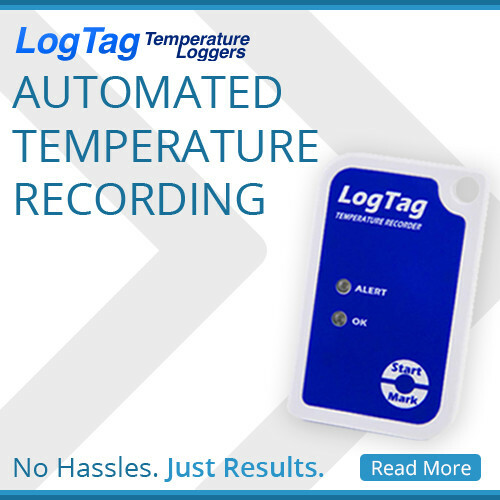 A temperature logger records the date, time and temperature at regular intervals. The results can then be displayed at a later time. It is like having someone constantly writing down the time and temperature for you. They can save you time, money and your reputation. They give you the ability to monitor an item even when it is outside your control and to identify when problems occur. They work 24 hours a day, seven days a week.